When people think of Cincinnati, things that come to mind include chili and the nation’s oldest professional baseball team. When we think of Cincinnati, we think of all of the great people we have worked with over the years. Patterson Pope serves a variety of industries in the city known as “The Queen of the West.” From commercial businesses to large manufacturing, we provide top-notch high density storage solutions. We offer a range of options when it comes to lockers, drawers and cabinets. 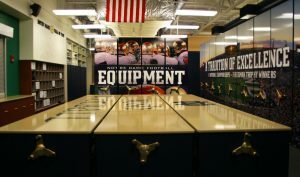 Universities and pro sports teams trust us to keep their equipment organized and facilities safe. rely on our high density storage solutions so that medicines, medical records and patient supplies are organized and easy to retrieve. 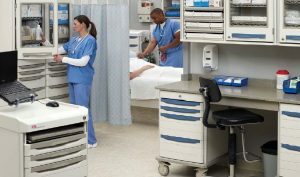 We have designed high-density mobile storage systems and medical carts specifically for this purpose and are proud to offer our services in the medical sector. The public sector will struggle without a system that stores its paperwork and records in a manner that is easy to access on the fly. We work with government buildings in Cincinnati such as post offices and agencies at every level to ensure that nothing is lost or overlooked. Normally this would not be an easy task. 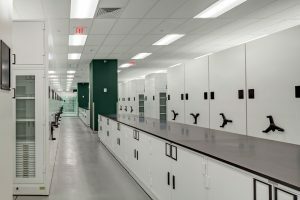 However, with our modular casework and cabinets in addition to our static and mobile shelving, this daunting task can be done. We even provide automated retrieval systems to make retrieving files incredibly easy for busy government employees. 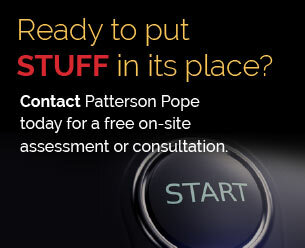 Patterson Pope has high density storage solutions for Cincinnati area museums and art galleries as well. In order to keep valuable and delicate items safe, we offer flat files, media cabinets and fireproof cabinets. 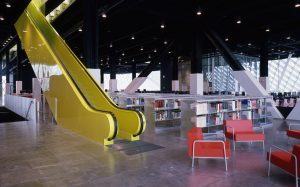 These organizations also benefit from our high-density art rack, since space is often an issue in galleries and museums. Any school setting, whether college campuses or kindergarten classrooms, need adequate storage systems to keep paperwork, student records, books and other materials organized. That is why educators in the Cincinnati come to us for modular casework, cabinets and many shelving options. 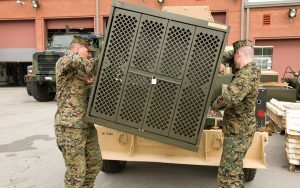 Our weapons storage systems, highly secure lockers and gun racks, are useful for military facilities and public law enforcement offices. The plethora of books, papers, reference materials and other media items that are stored in libraries are in good hands when you work with us. 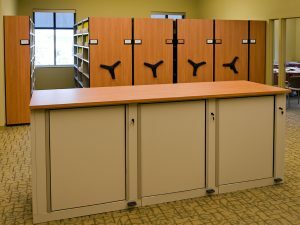 We offer cantilever library shelving, flat files and media storage cabinets for these specific needs. Patterson Pope proudly provides mobile shelving and high density storage solutions to the greater Cincinnati area, including Covington, Dayton, Springboro, Hamilton, Oxford, Fairfield, Middletown, Florence, and other surrounding areas.